Rudyard Lake Steam Railway @ Leek in the North Staffordshire Peak District and our steam trains are a great family day out ideal for kids on a train trip along Rudyard Lake. The railway uses coal fired steam engines on all its trains. One of the UK’s finest heritage steam railways and is constantly developing new attractions to give great family days out. Rudyard lake railway uses narrow gauge steam engines on its trains and is in Staffordshire near Alton Towers and the borders of Cheshire and Derbyshire and handy for the Peak District. 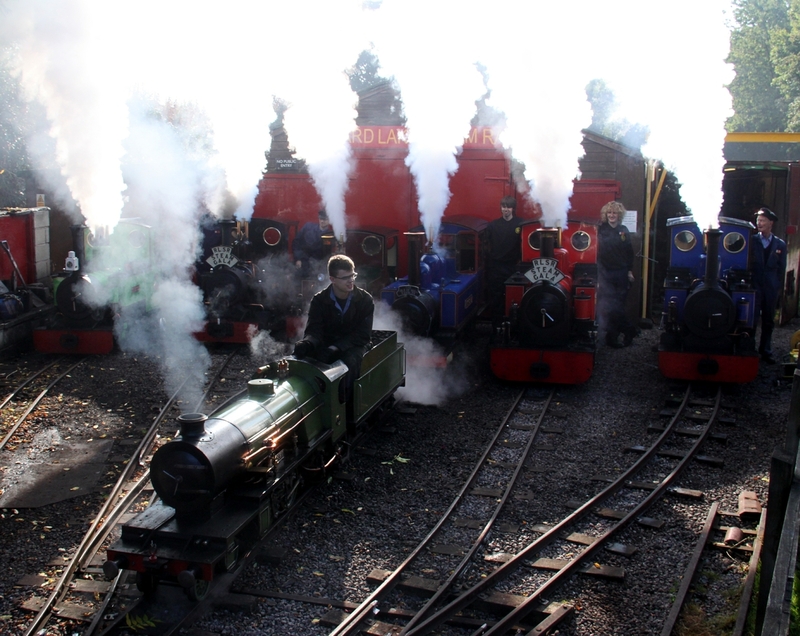 The steam trains are equivalent to about half the size of a narrow gauge railway with 10.25 inch gauge tracks. The trains run whatever the weather and have covered coaches. The kids birthday party express is the ideal birthday party venue for kids of all ages. Rudyard lake is a great family centre for days out, picnics, sailing, boating and fishing as well as riding the steam train. It makes a superb day out for children and adults. Rudyard Lake was developed by the North Staffordshire Railway to offer days out to the workers of the Midlands and North West. The Lake in the West of the Peak District retains its beauty and serenity and was named the 3rd most romantic spot in the UK. Rudyard Lake is the historic site where poet & author Rudyard Kipling’s parents met on a picnic day out and named their son after the place where they met.